The Standards book, comprising ten individual standards and representing the work of more than 70 child abuse intervention professionals and experts working from the latest research, is the standard by which Accredited Members of NCA are measured. Taking effect January 1, 2017, the 2017 Edition of the Standards below in red is now the book by which all new and re-accreditation applications are measured. The 2017 Putting Standards into Practice edition is an expanded version—all the content of the 2017 Edition, and with real-life Practical Approaches to help new and transitioning CAC leaders and those approaching the accreditation process for the first time to conceptualize the myriad ways CACs can meet each standard. It’s not an exhaustive list of possible ways to meet the standards, but rather a way to start the conversation of how centers can meet each standard in a way that fits their strengths and situation. 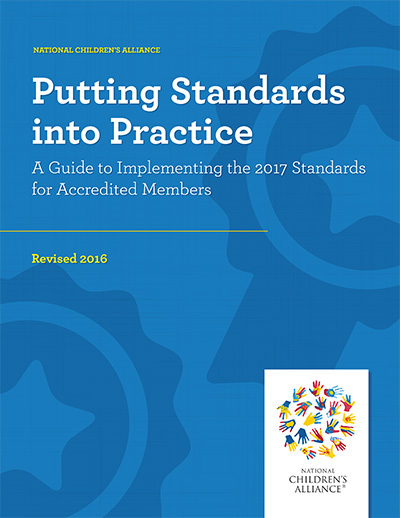 *NEW* The 2020 Edition of the Standards for Accredited Chapters is our latest installment, outlining the high standards of practice for our State Chapter Organizations, providing advocacy, training, and other services to the CAC movements in each of the 50 states. This edition includes guidelines and sample strategies for the achievement of the Standards. The new Chapter Standards will take effect January 1, 2020. This book comprises the full text of the Standards for Accredited Members, 2017 Edition, and includes introductory text, essential components of all ten standards, and helpful appendices. This edition is in effect January 1, 2017, and is the standard for all new and re-accreditation applications. 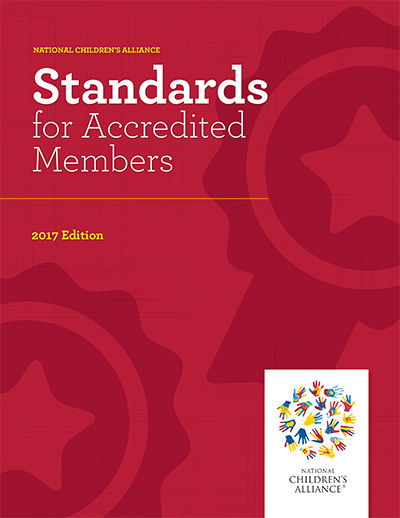 This book includes the full text of the Standards for Accredited Members, 2017 Edition, plus Possible Approaches to Meet This Standard content to assist leaders new to the accreditation process in envisioning suitable strategies to meet each essential component. 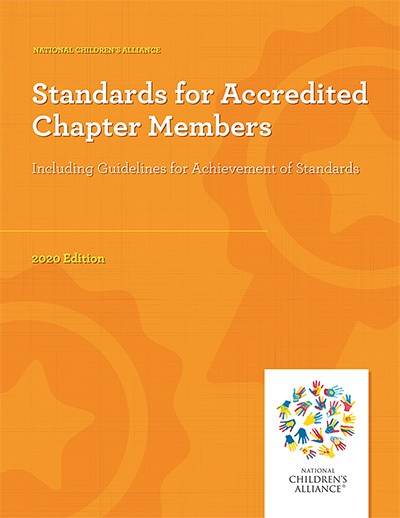 This book includes the full text of the Standards for Accredited Chapters, 2020 Edition, plus guidelines for achievement of the standards. Contact our Accreditation team at accreditation@nca-online.org with questions. Both versions may be printed for distribution by NCA members free of charge. Hard copies of the red book are available for sale at cost. Contact bwarenik@nca-online.org to purchase full-color, bound copies.